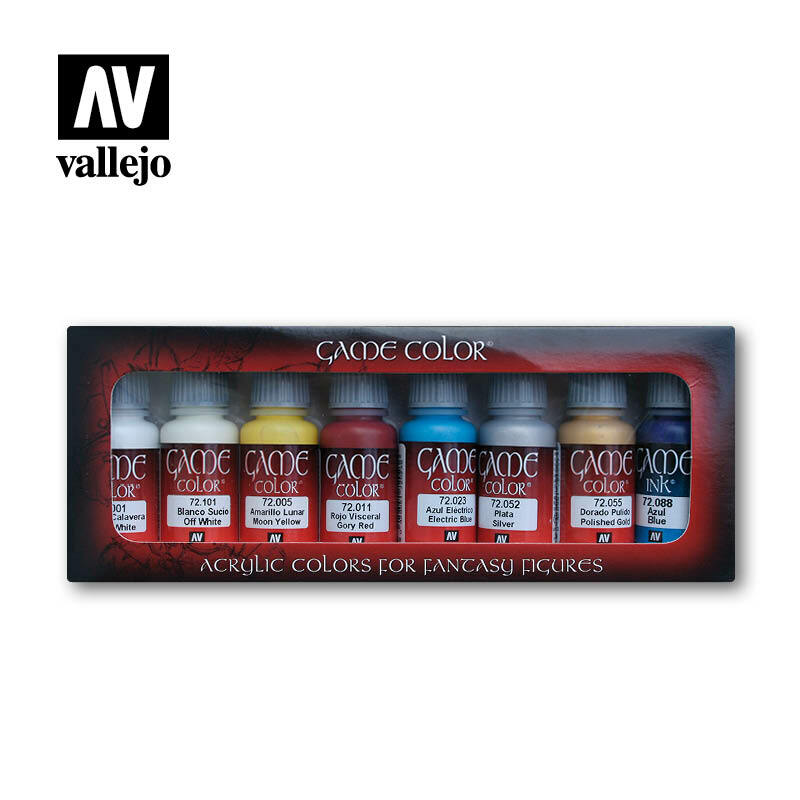 Set of Fantasy Pro colors for skin tones with intense colors for small scale fantasy figures, or low saturation natural skin colors of historical figures or figures in war scenarios. Contains 8 bottles in 17 ml./0.57 fl.oz. and detailed step by step instructions by Nocturna Models.